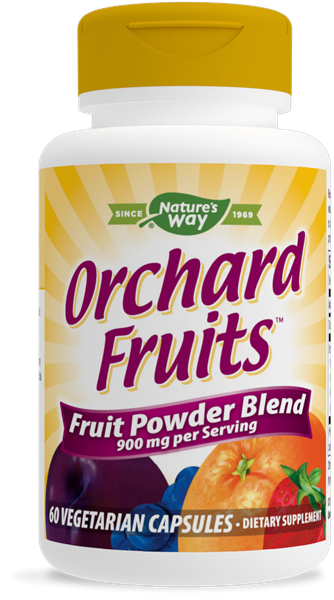 Orchard Fruits™ / 60 Vcaps - Nature's Way®. Contains phytonutrients from 12 fruits that are essential to health and vitality. The Power of Fruit Orchard Fruits™ capsules contain phytonutrients from 12 fruits that are essential to health and vitality. Taking Orchard Fruits, along with a healthy breakfast, is a great way to start your day.